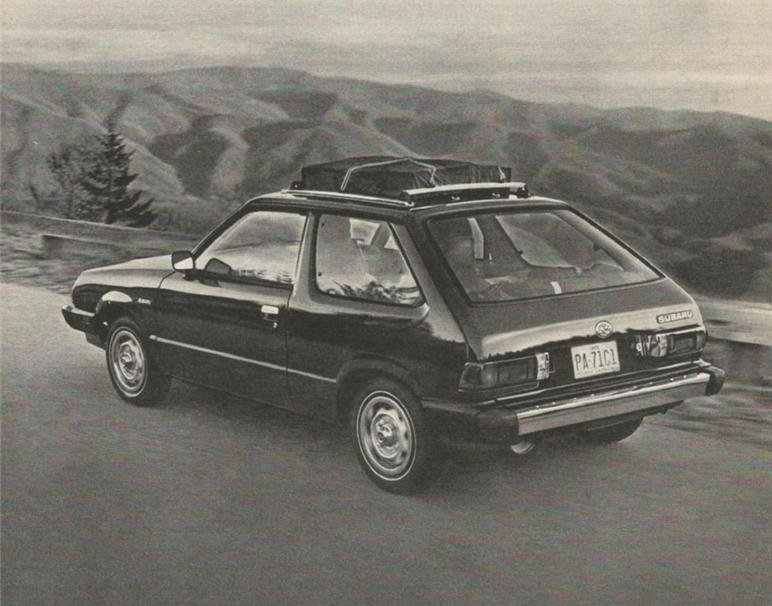 The 1980 front wheel drive Subaru Hatchback was a true economy car that retailed for $3,999 and achieved 41 MPG highway and 32 city. It had standard features like power assist front disc brakes, fold down rear seat, electronic ignition and side window defrosters. Pretty simple little 3-ddor hatch. Published on October 21, 2013 2:41 pm. 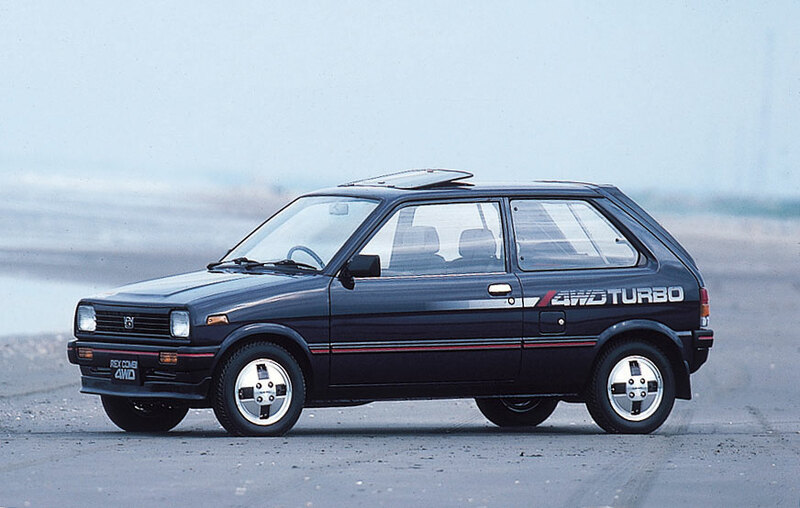 The $5,500, 1987 Subaru Justy’s 9-valve, 3-cylinder engine achieved 38 mpg city and 41 mpg highway. Published on May 15, 2011 9:40 am. 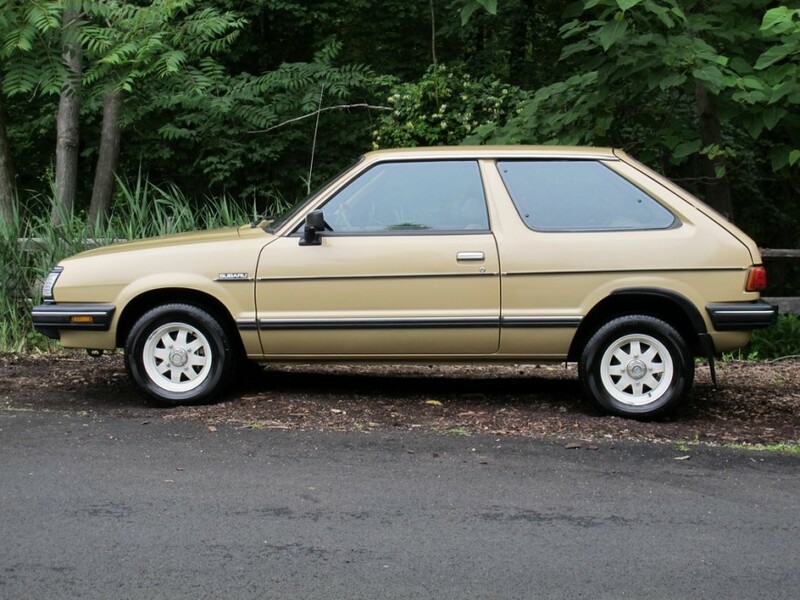 The 1984 Subaru Hatchback MSRP was $4,989. It got 34 mpg in the city and 45 mpg on the highway. Published on May 14, 2011 11:38 pm. 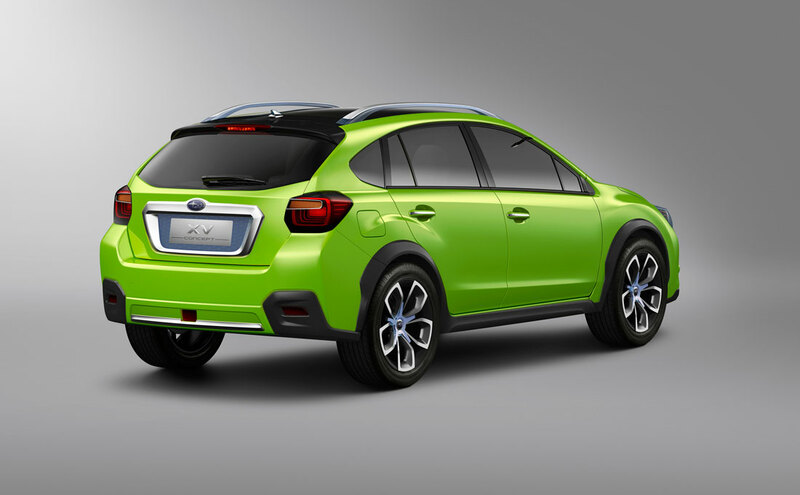 Fuji Heavy Industries Ltd. unveiled the Subaru XV concept at the 2011 Auto Shanghai. They are calling it a “crossover” but we think that due to the smaller size, it feels more like a large hatchback. The glass roof is very nice, as is the interior. Read more on this vehicle at Cartype. Published on April 19, 2011 8:58 am. 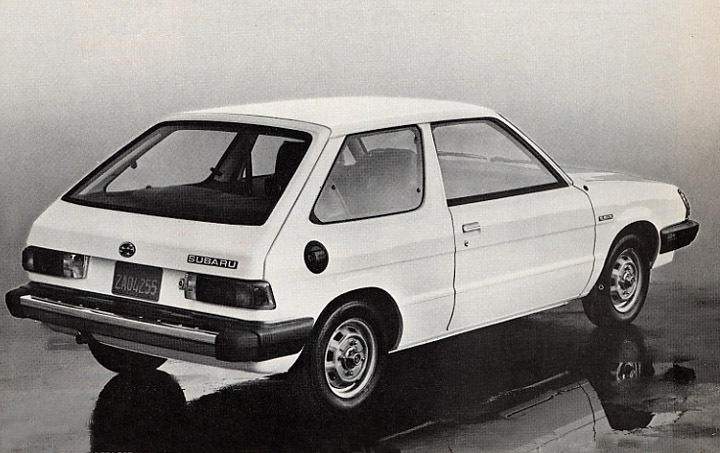 The Rex was introduced on July 15 1972. 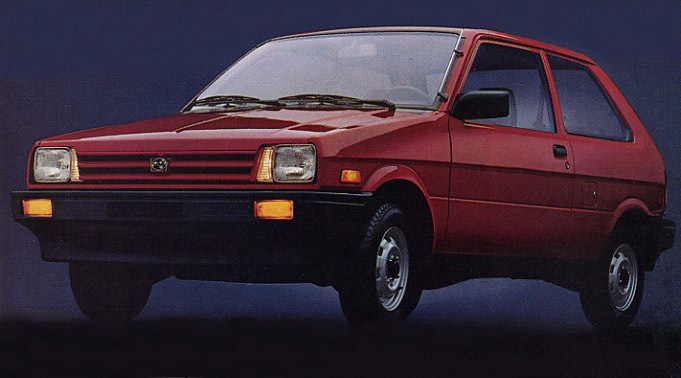 The Subaru Rex was a Kei car automobile produced from 1972 to 1992 for sale in Japan by Subaru and was also sold in Europe, South America, Bermuda and the Caribbean. The name “Rex” comes from Latin for “king”. 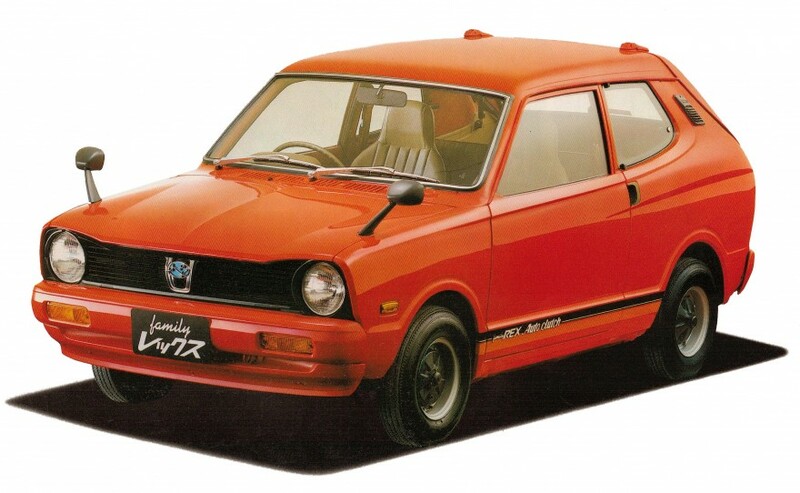 The Subaru Rex represented a fresh start, having little do with the Subaru 360. Published on September 6, 2010 10:08 pm.